Chongqing has been in the news these past few weeks, but only as the backdrop to political rivalries that ended in the city’s famous princeling boss Bo Xilai getting the sack yesterday. The succession politics are important and help to paint a picture of China’s general direction over the next few years, but far more important to the average inhabitant of Chongqing and environs are the plans for a massive economic zone that stretches from Chongqing across into Sichuan Province and engulfs several small cities on its way to Chengdu. Sure, it’s more exciting to talk about scandals and princelings and sudden sacks during China’s most important political meetings, but when those rumors have swirled away into the wind, it will be business as usual in China. And business as usual means jumping headfirst into the 21st century sea with urbanization in one hand and globalization in the other. 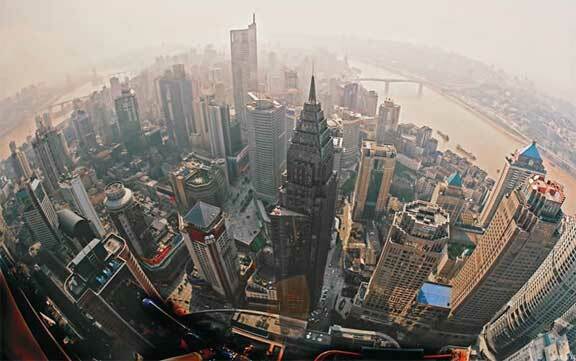 The plan to fuse the two major cities of southwest China with a band of iron, steel, concrete and asphalt may have had its origins in the 1997 split that created Chongqing municipality out of the jungles of eastern Sichuan. At that point, the goal was to break off chunks of what was then China’s most populous province and develop them in that oh-so-efficient, top-down macro style that has made the Beijing Model so famous. Three years after the split, the Develop the West Campaign was announced to great fanfare in Chengdu. 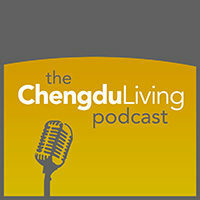 The goals of that campaign were (and still are) to make Chengdu the hub of everything in western China and use the hub to develop the rest of the region. So now, fifteen years down the road, Chengdu has become the hub it was meant to be and Chongqing has emerged as a manufacturing powerhouse. A star-crossed couple if you ask me; we talked about these two cities a while back and if you think of them as a nobleman and a steelworker, then no, they do not seem star-crossed at all. But a noblewoman and rugged laborer …..? The Yangtze River region includes the town of Yibin, which is about three hours southeast of Chengdu. There are few details out yet as to what will be developed along this region and how, but the government documents available describe a mixture of basically everything, with a focus on cargo and tourism. 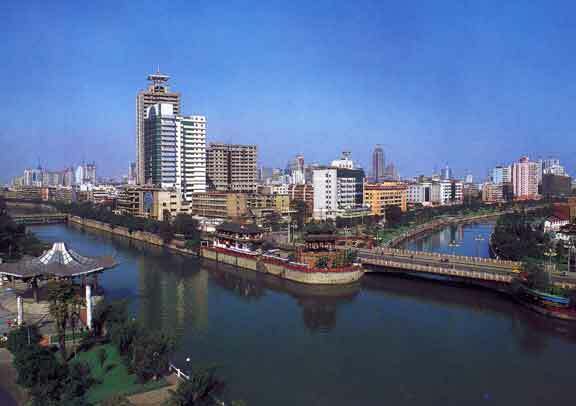 Utilizing the river to develop southern Chengdu seems like common sense. The government has also, in every document that describes this plan (and others), insisted that the ecological health of the region and sustainability as a whole be a major priority. Chengdu-Mianyang-Leshan is a looping northeast to southwest corridor that will presumably be linked by the same high-speed rail that will eventually link Chengdu with Leshan. Leshan and Mianyang are already thriving cities, close enough to Chengdu to benefit from the hi-tech and services-based development that has helped Chengdu grow, but far enough away to be their own (semi-) independent entities. As such they act as catalysts for the growth of the still-poor countryside that surrounds them. Chengdu-Neijiang-Chongqing and Chengdu-Nanchong-Suining-Chongqing are clear bands of east-west development that link the two major cores. Nanchong, Neijiang and Suining are a notch below Mianyang and Leshan in terms of overall development and they should benefit greatly from being pulled into the fold. These are the regions that require the most help and stand to gain the most from the new economic zone. Gangster-plagued, slightly-isolated and struggling to emerge out of the last century’s economy, these three towns are no doubt happy to be on the team. The Chongqing-Guangyuan-Dazhou belt is for me the most interesting. Guangyuan is actually a very nice city with what seems to be a good pace of development and little in the way of nasty corruption, gangsterism and pollution. The city has a fascinating history and a great climate. A highway links Guangyuan with Chengdu and to the north lies the huge northern Sichuan-southern Shanxi mountainous region that was once the cradle of Chinese civilization but has since slipped into irrelevancy. Dazhou is in northeast Sichuan and has always been in its own little world. Shanxi has nothing to do with the place really, it’s very far from Chengdu (7-8 hours) and it is separated from Chongqing proper by the hills and jungles of the rest of the municipality. It will be interesting to see how this belt develops in the future. So the governments have the blueprint and now comes the tough part. Putting it all together. What the plan calls for now and over the next 3-5 years is the creation and nurturing of demonstration zones, in Guang’An city for example, that show that the two governments can work together to develop the tiny towns that dot the region between them. A lot of the work in the next few years deals with the ability of the two governments to work together. 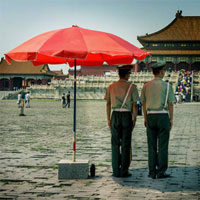 If seen in this light, then the scandal with Bo Xilai might be serious from an overall developmental stand-point as well. How can we know what Bo did or did not do to further the goals of this long-term plan to develop this region? Was he too busy chasing gangsters and singing red songs? We cannot know. But the overall policy, handed down from the central government, calls for Sichuan and Chongqing to join hands and demonstrate that the development of the little guys is a major priority. It seems safe to assume that anyone getting in the way of that plan will be steamrolled. This “cooperation” work between the two entails endless meetings and the formulation of Lord knows how many documents with titles like, “Decision on Boosting Construction of the Chengdu-Chongqing Economic Zone and Coordinated Regional Development in Sichuan Province,” “Suggestion Pertaining to the Implementation of the Chengdu-Chongqing Economic Zone Regional Planning,” and overarching terms like “One center, one base and three zones” that help to simplify what is in actuality a mindboggling undertaking. Even now, after all these years, I still find it fascinating that these documents and phrases and strange vague proclamations can actually create the economic miracle we see today. Taken together with the chaos and slippery nature of life in China, watching these plans unfold is truly something to behold. Sichuan has started 407 major projects pertaining to infrastructure, people’s livelihood, social undertakings and environmental protection. A total of 328 billion yuan has found its way into the projects. Fifty-eight projects have been completed. I have no doubt that the material lives of millions of residents of cities between the two cores has improved greatly. We can see the evidence of that all around us. But just a closer peek at even one of these projects would do more for Chengdu’s PR than one hundred thousand pages of the above. I wonder if a closer look would really make us feel as good as the above statistics. Poverty alleviation, urbanization and industrialization are complex processes that are not exactly zero-sum. There is a give and take that happens and the evidence of that is all around us as well. The government’s insistence on macro approaches to development has led to success on many fronts, but without the soft hand of micro investigations to go in after the heavy hand of macro policies, authorities risk a backlash that they find bewildering and often threatening. This is now China’s fourth decade of development. The question is not, Will it work? That has been answered already. But How can it work even better? With this new economic zone, Sichuan and Chongqing are giving themselves just under a full decade to get it right and they are starting off using the right language. It will be a testament both to China’s policies and to Sichuan and Chongqing’s status as trailblazers to se this project achieve exactly what it is setting out to do. I like this article a lot. It is great to see the development plan put into context, by someone with intimate knowlege of the region. One thing worth noting about economic development in this area is that output is still quite low, considering population. those are amazing numbers, thanks for that … i never know what to think when i see something like that … 4k in CQ and just over 3k in CD? really? And then i walk around and try and apply those number to the faces I see. i wonder how those numbers are compiled, whether or not they have complete stats on everyone’s income and could provide a picture of the whole population, not just the mean. you kinda have to remind yourself that if 4k is the mean, 100USD is probably pretty normal for some people, as is 10 mill …. Thanks for the update on the CD-CQ Economic Zone, Sascha. Having been to several of the 3rd and 4th tier cities in Sichuan you mentioned (Suining, Mianyang, Nanchong, etc..) I’ve often wondered how the prosperity in the region’s two dominant cities (CD and CQ) would trickle into these other cities as well. It seems as if most of the young ambitious Chinese people I meet from these cities who now live in Chengdu feel like there is nothing left for them in their hometowns. They also tell me that if they want to move ahead the best opportunities are found in Chengdu or Chongqing. This isn’t to suggest that Chengdu and Chongqing will continue being the only cities absorbing all the region’s young, educated and ambitious talents. As is clear from what you wrote, the government is pushing for the prosperity to spread throughout the region. And given the enormous combined population of Sichuan Province/Chongqing Municipality at a whopping 110 million people, this is certainly a reasonable plan. Unfortunately, observations on the ground often tell a different story. About a year and a half ago I was in a city called Jiangyou (famous as the hometown of Li Bai and now actually considered a part of greater Mianyang) to meet with a housing developer for a potential new project. The developer had just finished building a series of faux Italian-style villas on the outskirts of town and reveled in showing us the finished product. No one had moved in yet, but the units were sold out. Why anyone would buy these villas as anything other than a pure (risky) speculative investment is beyond me. Quality of life couldn’t possibly be a factor. Just outside the gates of the project, the developer drove us around in his brand new Mercedes-Benz to show us what is Jiangyou’s newly planned ‘center’. At this time, it was nothing more than block upon block of empty dirt lots, cleared away for new development. No people in sight except for a few construction workers taking a cigarette break. There were absolutely no amenities in the area and the air full of dust. The developer then drove us to the real center of Jiangyou about 5km away. Finally, signs of life abounded as local residents went about their day in the downtown area. Though the downtown Jiangyou locals didn’t look like they suffered from abject poverty, a brand-new Mercedes with a young laowai passenger inside was enough to stop people in their tracks and turn a lot of heads. We stepped out of the car and walked through the center of town, which was a series of 1-2 story ramshackle shacks that were destroyed in the 2008 Wenchuan Earthquake. The buildings were too damaged to be safely occupied, yet markets still flourished in the pedestrian street directly in between the collapsed buildings. The juxtaposition of the physical damage with the bustling life on the street gave the place the feeling of a disaster zone frozen in time. Given the time since the earthquake struck, I wondered why there hadn’t been any progress on clearing out the damage. I got my answer when the developer took us to Jiangyou’s planning department- a bland, 5-story grey building with peeling paint, typical of government of offices in China’s 3rd and 4th tier towns. Inside the building, there was not a soul in sight in the poorly lit hallways and stairwell until we got up to an office on the 3rd floor that reeked of stale cigarette smoke. A middle-aged man with a baijiu-belly offered us plastic cups of teas leaves with lukewarm water and introduced himself as one of the officials in charge of urban planning for the city. Maps of the city and region covering the walls of his confirmed his position. What we found out in that meeting is that despite an outward appearance that would suggest otherwise, the city of Jiangyou is rich. Or rather, the city government is sitting on top of piles of cash that was given to them by the central government as part of the Wenchuan Earthquake rebuilding effort. At that point, there was not much to show for the money they had received except for plans drawn up on paper. So far, our potential client, the developer of the luxury Italian villas had been one of the few in Jiangyou savvy enough to use his connections with the local government to gain favor and build the project, even though it was clear that the money might’ve been used for other, more pressing matters (e.g. clearing the rubble in downtown). And while the planning official was soliciting master plans for redevelopment of the downtown area, most of the effort was still on developing the ‘new’ center with plans for new government offices and more luxury residential projects. I found it more than unfortunate that this took precedence over rebuilding the place where most of Jiangyou’s population lives. Upon leaving Jiangyou, my Chinese colleague said something to me akin to “f*ck that guy”, in reference to the developer who showed us around. Apparently there was more going on than I could gather from my poor understanding of Chinese. Yet despite these misunderstandings, the physical state of the city said enough about where the rebuilding money was going. Ultimately, it is the countless smaller cities like Jiangyou that will determine the future success of China (it is also good to keep in mind that city size is relative, and although Jiangyou ‘small’ by China standards, the population sits at almost 900,000 people). With the upcoming government leadership change and an economy that begs for an evolution in its level of transparency, the fate of the country lies within its urban areas, especially the ones not on the international or even national radar. Absolutely, the smaller towns are Dipshit Central when it comes to the government and top down macro approaches just foster the type of environment you saw in Jiangyou. Too bad those stats they quote (and the projects) have little to do with on the ground realities a lot of the time. I too read through Adam’s comment. No kidding this is an first-hand account of the cronyism that goes on when cadres receive lump sums for “development”/ reconstruction. In August 2010 I returned back the the earthquake town I labored in (read: Rebuilding Beichuan Brick by Brick article) and noticed that all the houses I worked on had been completely redone due to their proximity to the highway and tourist 5-12 commemoration sites. Yet further into the mountains much of the rubble still remains. Whats going to be the spiffy acronym/ abbreviation for this economic zone?